Update – OnLive went live last night, Check out the Press Conference for Game Footage. 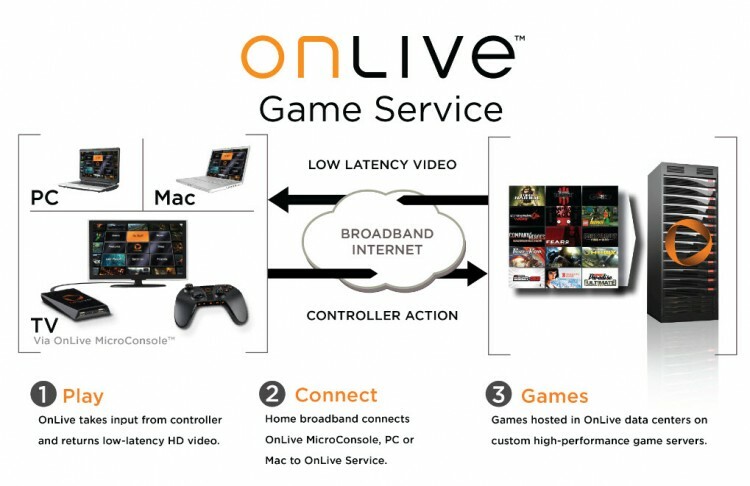 A new service from OnLive.com could really change gaming as we know it. Supposedly OnLive will allow you to play console games on your computer remotely over the internet. Basically a server somewhere will have a bunch of consoles and games connected to it, you connect to their server with a piece of hardware they sell you and they stream the games to your pc. They are having some sort of a site launch tonight at 7:15pm PDT. I’m really looking forward to seeing what exactly they’re offering and how well it will run. They say with a 10mbit connection you’ll be able to play HD quality games streamed to your pc. This could get very interesting, here’s what I’ve been pondering. Microsoft, Sony, and Nintendo lose money when they sell a console, they make money when you buy games. If they stop making consoles where will new technology to power the games come from? Why would developers create console games to be played remotely on your PC? Why not just create PC games and bypass having to pay royalties to the Big Three. How much bandwidth will this little device eat up, and with ISPs starting to cap how do they expect to sell the thing. Why pay for a device you can barely use? For a more in depth article check out VentureBeat.